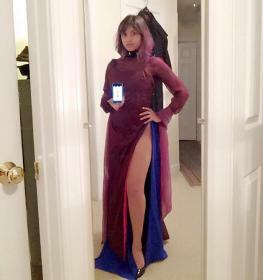 Dress is made with maroon silk tafetta, royal blue silk crepe de chine, and burgundy irridescent silk chiffon. Sash is a magena irridescent silk chiffon. Accents on dress are black velvet with clear rhinestones attached. Earrings, necklace, and crescent moon were bought on Etsy. EVIL CHIBIUSA WAS BEST CHIBIUSA. Jewelry purchased from Etsy sellers! First wig made by Afterglow Cosplay. 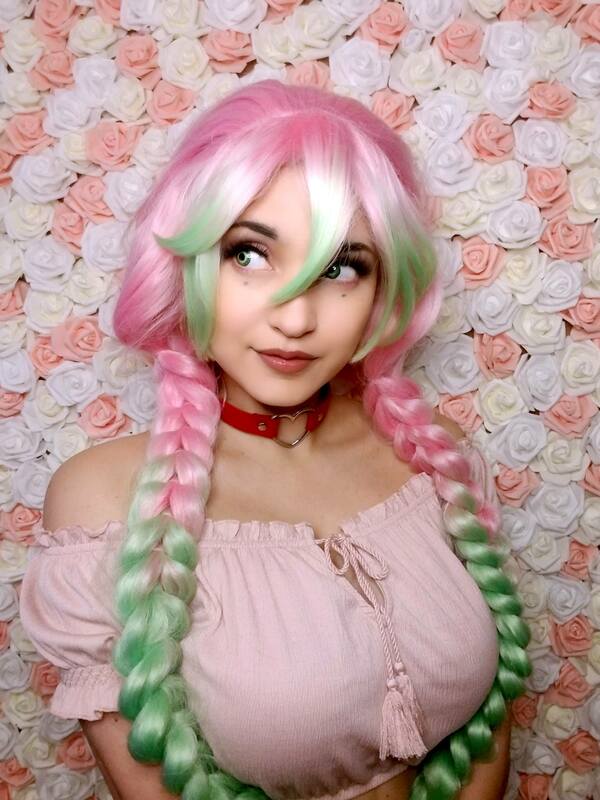 Updated wig made by Minniemoon Cosplay.